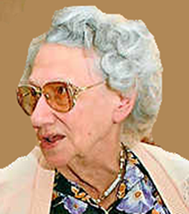 Miss Hester Estella Mottershead, Headmistress of WGHS from 1976-1983, died on the18th August 2012, aged 90 years. I started working for Miss Mottershead as a Deputy in September 1977. She appointed me in spite of the fact that she was a Lancashire lass who went to Oxford and I was in the opposite camps! Miss Mottershead joined the High School in May 1976 after traumatic times for both her and the school. The school had experienced difficulties after the loss of a well-loved and respected Head Mistress a few years earlier. The closure of Bilston High School, which had a special place in her heart and which she had served as Headteacher for many years, was a blow to Stella. (It is less stilted to refer to HEM as Stella although I did not actually do so until several years after she had retired!) Stella went from The Park School, Preston (girls' grammar) to St. Anne's college, Oxford to read French and German. The ill-health that dogged her all her life caused her to miss a full year during her degree course. Her health problems, however, have never prevented her from achieving success in her chosen profession, nor from reaching the venerable age of 90 and it is so sad that her life ended in the way it did. After university Stella taught in Lancashire and Hull pioneering the use of language laboratories, devising courses for her pupils that encouraged them to speak the language from the beginning and arranging Exchange visits. She was only 35 when she obtained her first headship at Bilston Girls' High School. Throughout her life she has worked to further the education of girls by serving on numerous University and Examination Board committees. At WGHS HEM (I can't say Stella in this context!) liked talking to the staff and to the girls - often at Rec when the girls came for Merits or Excellents or at lunch time when she walked her corgi in the grounds. It was a stressful time since the Authority wanted to close the school but HEM respected the way the staff coped and the ultimately successful fight that staff and Parents'Guild fought to SOS. She rejoiced in the success of all girls but particularly those who had fewer advantages. Her headship was at a time when we had to make do since there was little extra money and the school could not then manage its own budget. I remember the outcry when the mobile classrooms came, the arrival of the first computer and the big cake and puppet show we had for the 70th Anniversary. Of course there were problems but I remember a happy atmosphere which made WGHS a good place to study or to work. Miss Mottershead retired in April 1983. In her retirement Stella enjoyed any contact with former staff and girls, continued her craft work particularly painting and knitting – much of which she sold to raise money for charities for Cancer Research and the blind. She was an active member of The Soroptomists for many years. In some ways, Stella was shy and retiring, but she could be stubborn and determined when the need arose. 7 March 2013 - Four men have been charged in connection with a distraction burglary, following which a former Wolverhampton headmistress collapsed and died. Along with a fifth man, the men have been charged with conspiracy to commit robbery across the Midlands between July and October. Some 28 offences are included in the charge against the men, aged 18, 20, 21 and two aged 22. Hester Mottershead, 90, of Tettenhall, was the victim of a burglary in August. Ms Mottershead, who lived alone, was a former head teacher at Bilston Girls High and Wolverhampton Girls High schools. She collapsed after men posing as water board officials searched her home on 17 August. She died later in hospital. The five men have been accused of carrying out burglaries and robberies across Derbyshire, Leicestershire, Nottinghamshire, Staffordshire, Warwickshire and the West Midlands. They are due to appear at Wolverhampton Magistrates Court on Friday. West Midlands Police said four people, aged 18, 20 and two aged 22, remain on police bail after being arrested on suspicion of manslaughter. 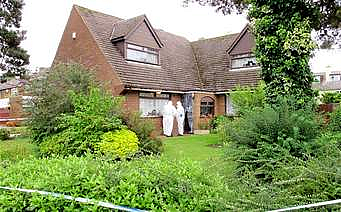 1 October 2013 - Charges against four men accused of a burglary at the Wolverhampton home of a 90-year-old former headmistress who later died, have been dropped. Hester Mottershead, 90, of Tettenhall, collapsed after men posing as water board officials searched her home in August 2012. The Crown Prosecution Service (CPS) previously said there was insufficient evidence to bring manslaughter charges. Charges of conspiracy to commit robbery have now also been dropped. However, the CPS said that decision was being reviewed. Ms Mottershead died in hospital, a day after the burglary, after suffering a suspected stroke. She was a former headmistress at Bilston Girls High and Wolverhampton Girls High schools.